About an year ago, I embarked on updating my hybrid with a better groupset (Deore M61x). It was during that time that I had observed that the braking surface on my rims were absolutely gone. The nail in the coffin came with a nail in my rear tyre. This insignificant piece of rusted object lying on Outer Ring Road had caused a horrible puncture on my way back from Hesaraghatta. 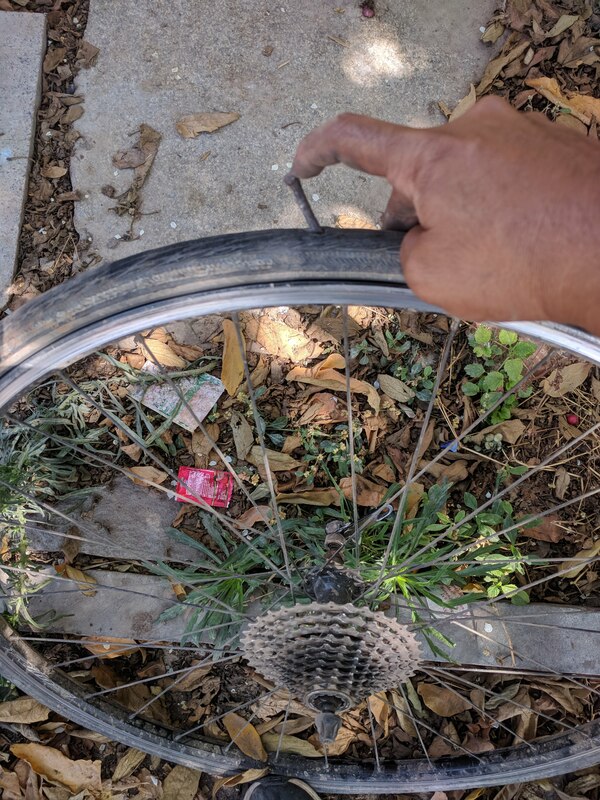 This was the second puncture on my Delta Cruisers. The nail had damaged the inner tube so much that I had to throw it away. Also notice that the rims have no braking surface whatsoever. 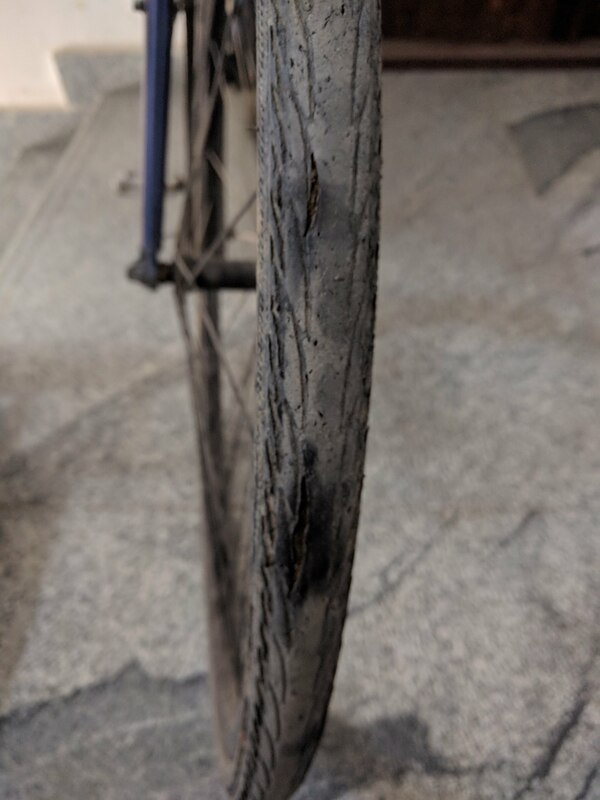 While replacing the tubes, I inspected both my tyres and found that there were gashes in the front one (used to be the rear one until last year). The gashes were there because the outer rubber had worn out completely and edges had thinned off to reveal the layer underneath. As the old saying goes, “an issue is a non-issue until you notice it.” I was so terrified of my tyres opening up that I rushed to Crankmeister and asked them to change the tyres. They didn’t have Delta Cruisers in stock. I didn’t want anything else and I had good reasons for that. I was disappointed and was scared to ride ten kilometres back home. “You rode all these months with this. Surely you can ride another week,” Nikhil, one of the owners of Crankmeister, advised me. Over the last week, I was very careful to avoid any pothole, manhole and any other general junk that might cause the blowout that I had pictured in my mind. 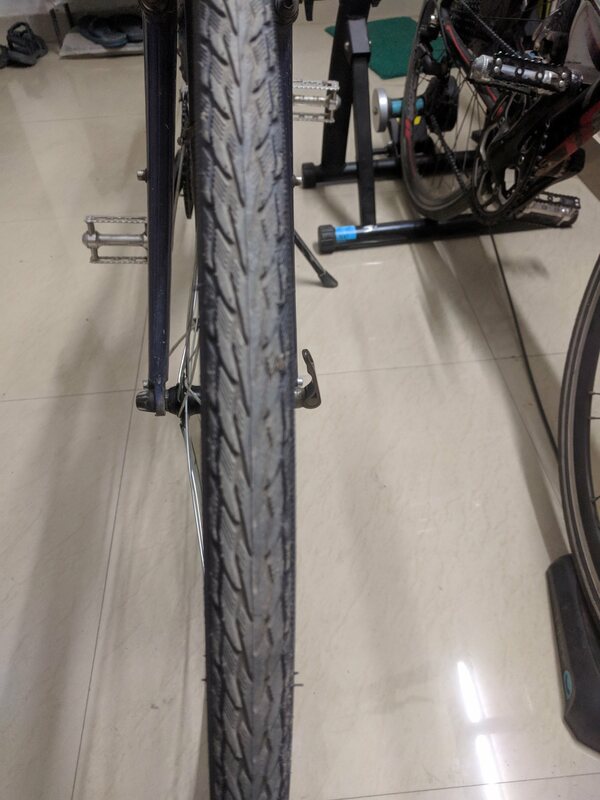 Thankfully, these tyres survived the entire week’s commute. Anyways, today morning I pinged Crankmeister to enquire if they had the tyres in stock. I rushed out of my house on receiving their affirmative reply. It wasn’t like I was overly excited—just that I had to return by 2 O’Clock to make it to my band practice. 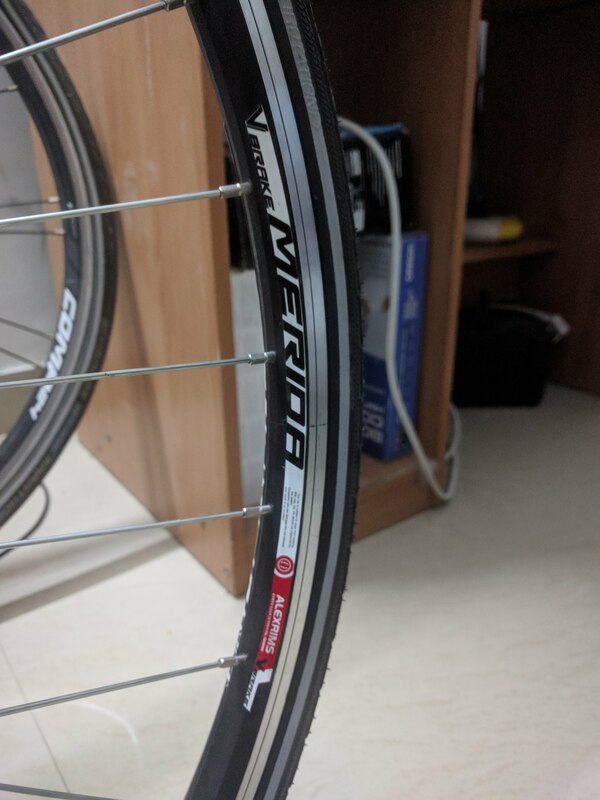 These are Merida Crossway 15V’s by Alexrims. Inexpensive, decent and should be able to take a beating! I had almost forgotten that Delta Cruisers had tread patterns on them! There were two things wrong with my existing setup. Firstly, the brake pads were oriented the opposite way. Not that it mattered with the worn-out rim. The second one was a serious issue. My chain was not threaded through the derailleur jockey wheels properly. Riaz fixed that by opening the lower jockey and placing the chain properly. He also pointed out that there was a slight bend in my hanger. I asked him to leave it as it is until the next service. He said that he could make me a new one using my spare, unused hanger as a template. I left the old wheels and the old tyres at their shop. They would be disposed off.